We are a small company, based in West Wiltshire, specialising in seeds and plants for the Kitchen Garden. We have a huge range of chilli and tomato seeds and many of these can also be ordered as plants which are sent out in spring. Please note that our website is set up for sending seeds to the UK and Europe only as we are not allowed to send seeds to many countries outside Europe. 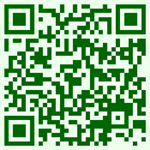 As we have had problems sending plants abroad in the past we now only send plants to addresses in the UK. Our philosophy has always been to grow and try out as much of our range as possible, although there are some varieties that have made our range as a result of recommendations. Flavour is our number one priority. We also have a shop at our nursery, where you can browse through our range at leisure. During August and September we host several ‘Tomato Tastings’, which are followed by ‘Chilli Tastings’ in September. Our best wishes for a good growing season. We were very honoured to have been given the opportunity to take on these two varieties, they were developed in Somerset by a chilli enthusiast, known in the Chilli world as ‘Naga Nick’. We grew them this year and on the understanding that we do not change the names. Tests were done on the Lucy, at Warwick University, on a randomly selected batch of 10 pods. They scored a whopping 1,359,284 Scoville Heat Units. Some pods would have tested higher, some lower. It was an average result. The Katie, was also tested, but as it was initially believed to be a milder variety, only one pod was tested. Preliminary results indicated a score of 1,590,000 Scoville Heat Units. A figure we believe to be hottest grown in the UK. So far. It may well be that the average result would be lower, or it could have been a rogue result. This is open throughout the year where you can buy our range of seeds and sundries. Asparagus, rhubarb, garlic etc are available here at the appropriate time of year. April and May: Wednesday-Sunday, 10am-5pm. June to end March: Tuesday -Friday 10am-5pm, Saturday 10am-12.30pm. The nursery opens at the beginning of April and closes at the end of September. In April and May almost all the varieties available as plants by mail order are also available in 9cm pots. In early June there is usually a small selection. We are sorry we cannot take orders for plants to be collected at the nursery until the majority of plants have been despatched. But you are welcome to ring us in May and, if we have what you want, we will put them aside for you. Please do not order them from the website for collection. We also have seedlings of brassicas, lettuces, leeks, sweet peas etc plus pots of herbs and a selection of hardy perennials. 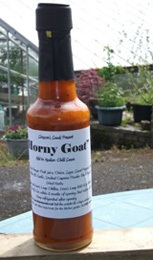 All sauces are made with our own chillies so availability will vary. 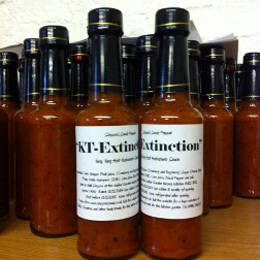 Matt makes the sauces, following our philosphy of ‘Putting Flavour First’. The idea is to enjoy the flavour of individual chillies. 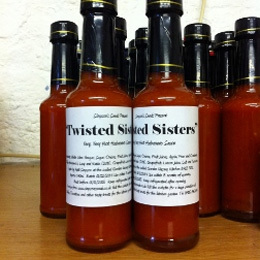 They are made in small batches, no more than 50 bottles at any one time. Visit Us part 1 Our nursery and seed shop are in the small village of Horningsham in a stunningly beautiful part of Wiltshire on part of the Longleat estate (though we should not be approached from there). The gardens date back to 1756 when Capability Brown redesigned the estate and the site was manned by teams of gardeners producing vegetables, flowers, grapes and peaches for the house. The teams of gardeners, grapes and peaches are no more but we are trying to carry on the tradition in our own way. Each summer the main glasshouse is filled with tomato and pepper plants, some new that we grow for trial, and some from our existing catalogue. Outside we grow vegetables in raised beds both as trials and for our own tables and flowers in the wide borders. The nursery is open from the begining of April to the end of September where we sell most of the varieties that are listed as plants in 9cm pots. There is normally a good selection available up to the beginning of June, with chilli plants continuing for sale throughout the summer. We regret, though, that we cannot take orders for plants for collection in April but if you phone in May, once the majority of plants have been despatched, we will set them aside for you. We also have a good range of strips of lettuce, cabbage etc plus pots of herbs and a small selection of annuals and perennials. This is open all year though if you turn up when the mail order season is at its busiest you might find us a little harassed. 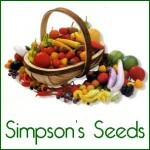 Seeds and sundries are always available. Seasonal items such as asparagus and garlic are available at the appropriate time. The Seed Shop migrates around the Nursery according to the time of year. Between April and the end of September it is inside the walls close to the shorter glasshouse; if you visit outside of those months, from October through to the end of March, you will find us in the buildings by the car park. We hold several each year. These are very enjoyable and give our customers a chance to try out our varieties and those we are trialling and we gain from the comments. We normally start with the tomatoes in August and follow on with the chillis and sweet peppers in September. We do not give out dates until we are sure we have enough to taste. Dates will show in Events. Do not key our postcode into your SatNav as you will be directed to Longleat, where you will not only queue but be expected to pay for entry! So go past the Longleat entrances and into Horningsham. We are approximately 300 yards past the Bath Arms on the road to Frome and are signed from this road. Saturday: Please phone before visiting as we are not always here. Saturday: Please phone before visitng as we are not always here. Between Christmas and New Year: Please phone before visiting as we are in and out!